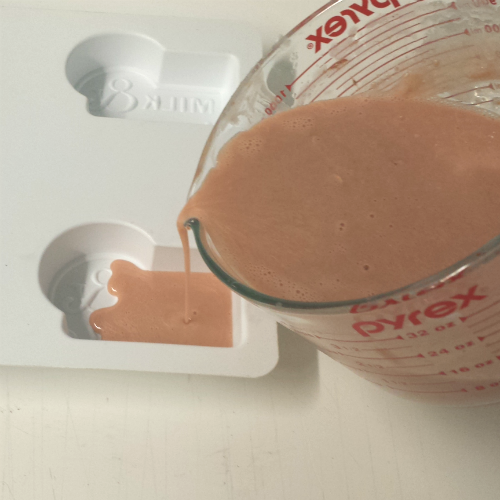 ONE: Melt 8 ounces of White Melt and Pour Base and 8 ounces of Clear Melt and Pour Base in the microwave on 30-second bursts until fully melted. TWO: Add in 2 heaping mini scoops of Honeyed Beige Mica. 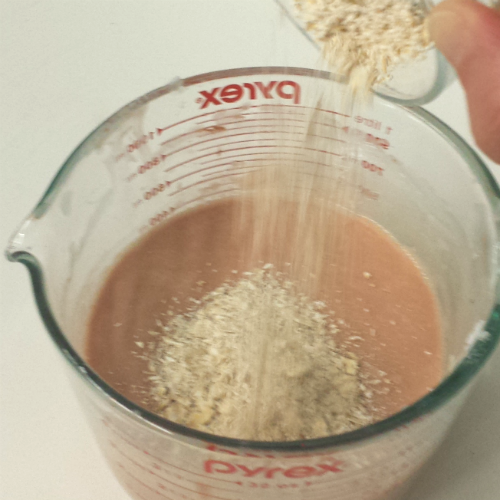 THREE: Grind up the 1/2 oz of Oatmeal in a coffee grinder for about 5 seconds for a smoother and lighter exfoliation. 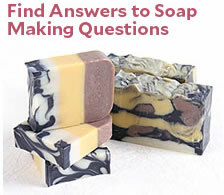 Remember, the smaller the particle, the easier it will be to suspend in the soap. 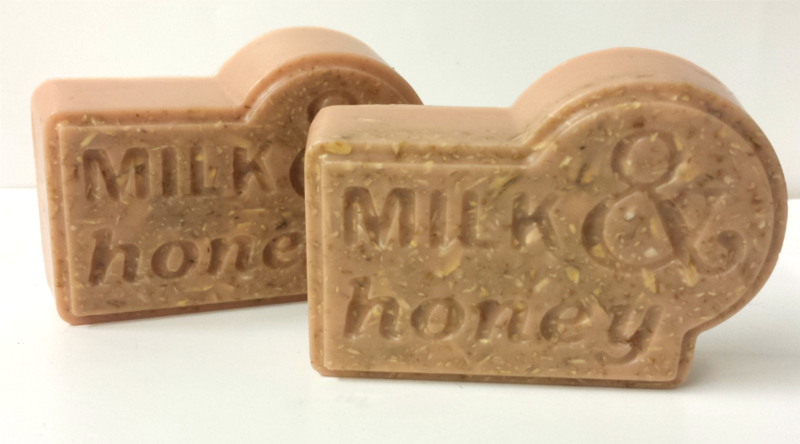 FOUR: Add in 1/2 ounce of Oatmeal, Milk and Honey Fragrance Oil. FIVE: Add the oatmeal and stir, wait 20-30 seconds. If the oatmeal is sinking to the bottom of your bowl then your base is not thick enough to support the email. Wait a few minutes for the base to cool and become thick enough to suspend the oatmeal. 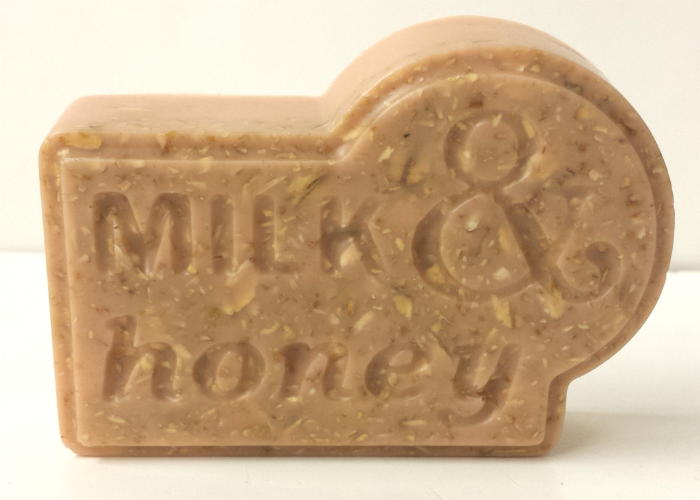 SIX: Pour your soap into milk and honey mold. 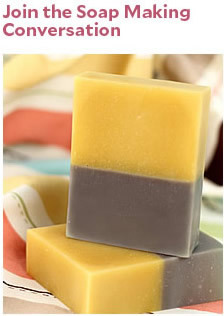 SEVEN: Spritz your finished soaps with rubbing alcohol to break up any bubbles that might appear on the top of the soap. Wait 2-3 hours top pop the soap our of the molds and you’re done!